I’m so excited for my first challenge! I polled you guys on Instagram and self-care won for the first one and I hope you join! It’s an easy challenge and I think it’s going to be super fun, inspiring and motivating. Plus, just think about how relaxed you’ll be at the end of it! Just fill out the form here to join! Sign up and join me for a one week self-care challenge! You’re email is safe with me—no spam ever! 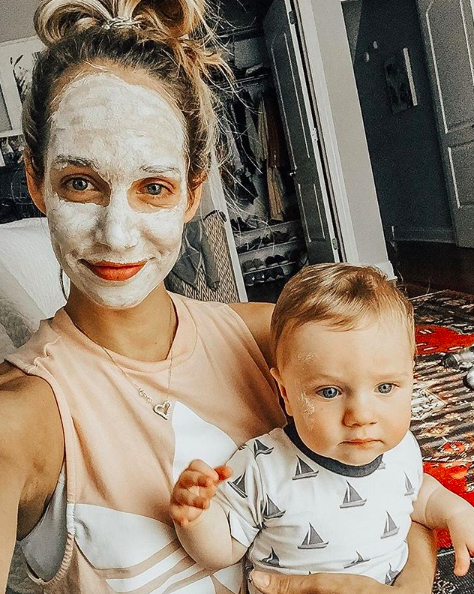 Before I had Owen, I always made ample time for self-care, but after becoming a mom, it’s definitely gotten pushed to the back burner. But, why should being a mom and taking care of myself be one or the other. The trick is squeezing in time when you can and actually scheduling your self-care. And, even if you’re not a mom, you need self-care too! For this challenge, we’ll be encouraging each other to take time for ourselves each day for a week! This challenge won’t be difficult, but it will be so amazing for you, so sign up and commit to making a little extra time for yourself! You deserve it, girl! So, start thinking about what self-care moments you want for yourself! We’re all individuals with different needs and wants. You know yourself best, so grab a piece of paper or type it in the notes of your phone and write down a few ideas of what self-care looks like to you. Go on a walk, alone! I’m so excited for this challenge and will be participating myself! Honestly, I’m pumped!! I know it will be so much fun and also show you that taking a moment of self-care on a regular basis can impact your life in so many ways! Can’t wait!! And, if you’re in Chicago today, STAY WARM!